A secondo del tuo grado di preparazione, costruisci una sequenza di movimenti per danzare con il cerchio in modo continuo e divertente, oppure trova combinazioni sempre nuove e diverse. The workshop is divided in several phases: in the first, the participants examine the basic movements of Hoop Dance and the many way you can turn from an In-Body Hooping to an Off-Body and vice versa. 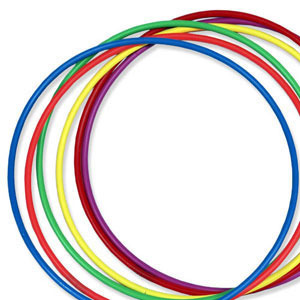 Then you’ll get to try new movements, depending on your initial level and you’ll get to create a sequence of movements which will let you dance with the hoop with lots of fun; the expert users will be able to create new combination of movements, far from the usual routine ones. Paola Berton has been involved for years in Hula Hoop and Hula Hoop Dance, both as a performer and teacher. She trained in India and UK and has soon started to lead workshops in Rome, Padova and Milan, performing in many international festivals in Goa, Pushkar (India), London, Cape Town (South Africa), Budapest, Gallipoli at the Festival Della Taranta and in Viterbo at the Italian Hula Hoop Connection.